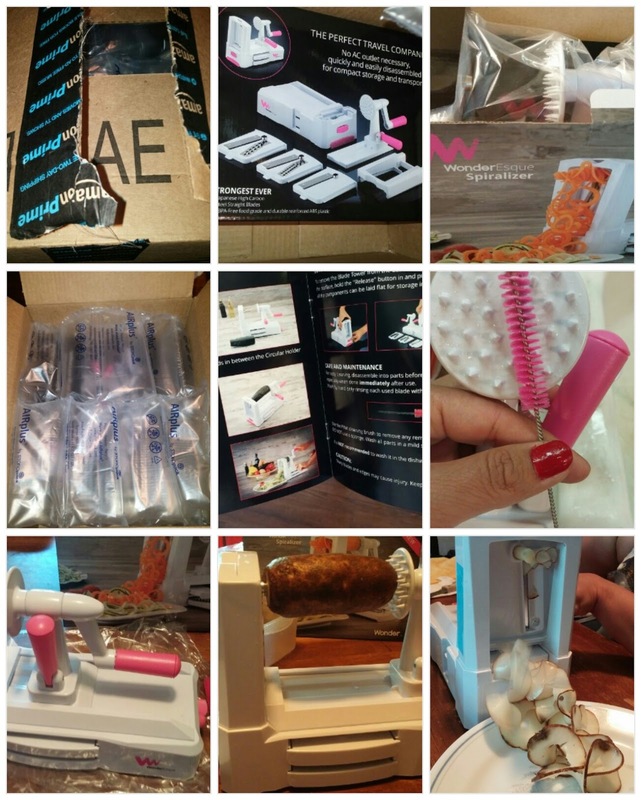 I had an opportunity to try the WonderEsqueSpiralizer for free in exchanged of my honest review. The packaging was perfect, it arrived on time and was unbroken. 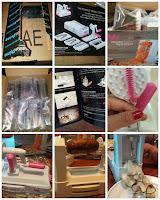 All the parts are in the box including the tiny pink cleaning brush for the blades. What I like about this product is the convenience in turning veggies into spirals and ribbons. It is very easy to clean up because you can dismantle and re-assemble it right back easily. It comes with three blades: the thick and think spiral blades, and the ribbon blade. With this product you can make zucchini pasta and potato ribbons easily. In fact, I just made some earlier for lunch. It was fast and easy. I think that they can make this product even better if they will add another suction to really hold it in place. Don't get me wrong, the suction cup is working, but I just think that it will be more sturdy and easier to use if they add another suction cup.